The Spanish daily El País reports that Rajoy, who faces a secession attempt by the region of Catalonia in November, praised the Scottish vote as being conducted with “scrupulous respect of the law of the its country”. Spain has maintained that Catalonia’s referendum will be illegal under the country’s constitution and has refused to recognise its legitimacy, something that has angered many Catalans and may push them to voting for independence. In a statement that was clearly aimed at Catalan separatists, the Spanish Prime Minister added that the Scottish ‘no’ would contribute to the “cohesion of Europe”, saying that they had chosen “security over risk”, and integration over “segregation” and “isolation”. “We all need each other, and as Europeans we are happy that Scotland will stay with us,” he said. The Scottish ‘no’ result comes on the same day that Catalonia’s regional parliament is likely to approve the law that will allow their independence referendum to take place on 9 November, a decision that is likely to be struck down by Spain’s constitutional court. Some Spaniards are becoming increasingly worried that the decision by the central government not to recognise the Catalan referendum could tip the region into voting ‘yes’, a view that will be enforced now that Scotland’s legally recognised and hard-fought referendum has returned a vote against secession. On 11 September, Catalonia’s “national day”, hundreds of thousands of Catalans gathered in Barcelona, demanding independence for the region and holding signs saying: “Catalonia isn’t Spain” and “Now is the time”. If Catalonia does vote for independence in November, it will be unlikely that is actually achieves any real political change for a long time, as the result will almost certainly be contested by the Spanish government – a decision that could potentially spark civil unrest in the wealthy region. 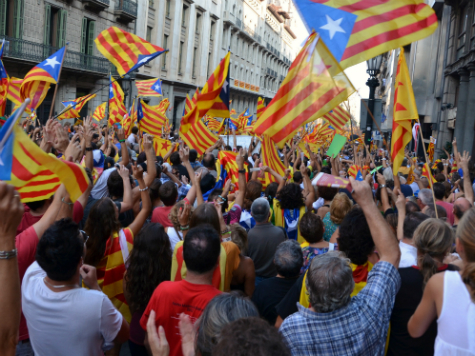 Were the region to become independent, that would unlikely be the end of the matter as many nationalists also claim neighbouring Catalan-speaking regions as part of a ‘greater Catalonia’, or ‘Països Catalans’ – something that would likely bring the new state into further conflict with Spain, and possibly also with France.